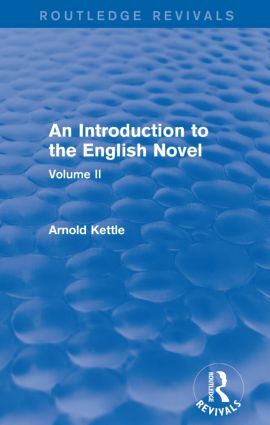 First published in 1953, this book forms the second part of Arnold Kettle’s An Introduction to the English Novel. In this second part, Kettle builds a discussion of the modern English novel around the study of various books that have a more than casual significance in its development. He begins with an analysis of James, Hardy and Butler: three late Victorian writers whose work points forward to the major preoccupations of twentieth-century novelists. In his discussion of a dozen or so of these points, the author examines their progress in the long struggle of the novelist to see life steadily and whole, and points out some of the problems and hazards that beset the writer still.